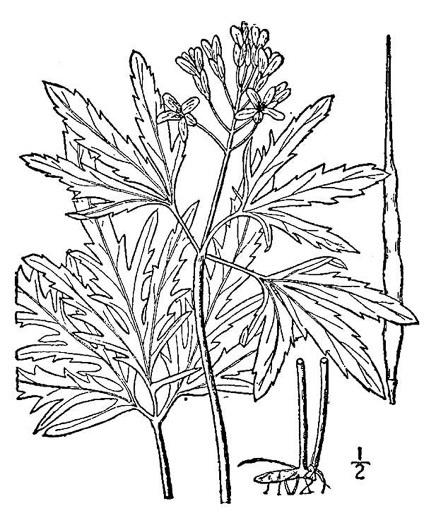 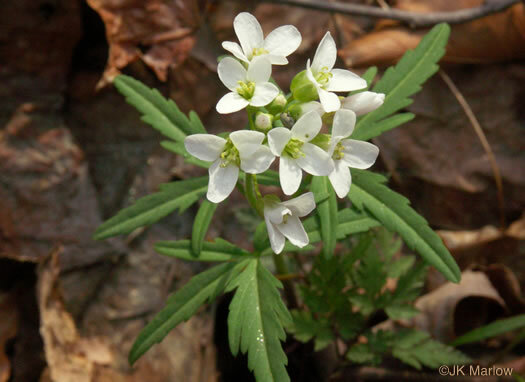 Four sepals, per Vascular Flora of the Carolinas. 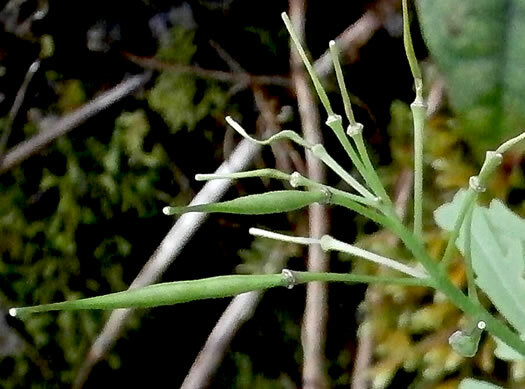 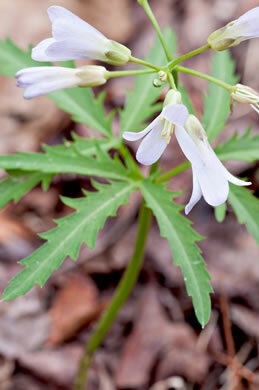 Whorl of 3 cauline leaves - basal leaves usually absent when in flower, per Wildflowers of the Southern Mountains. 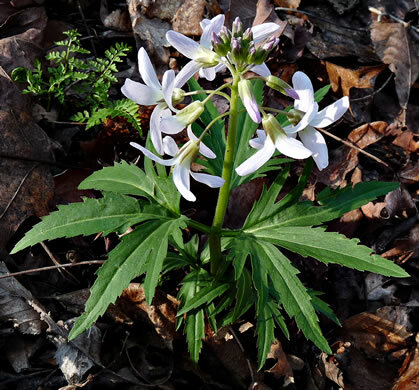 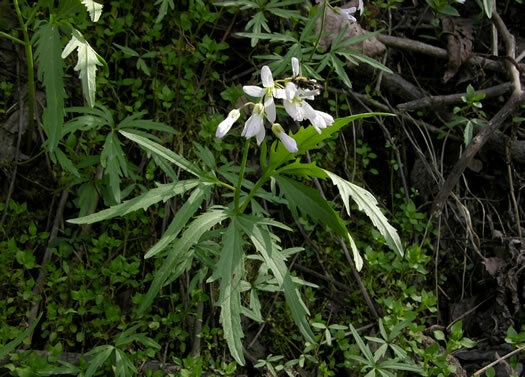 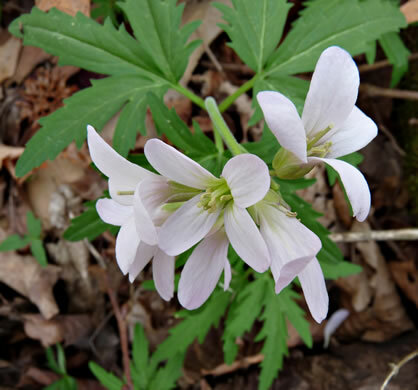 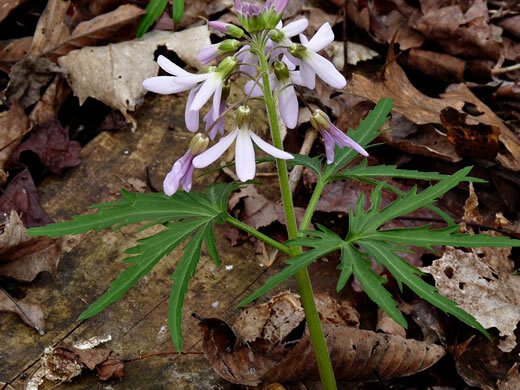 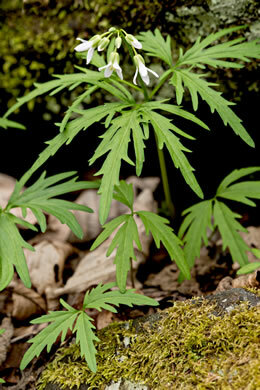 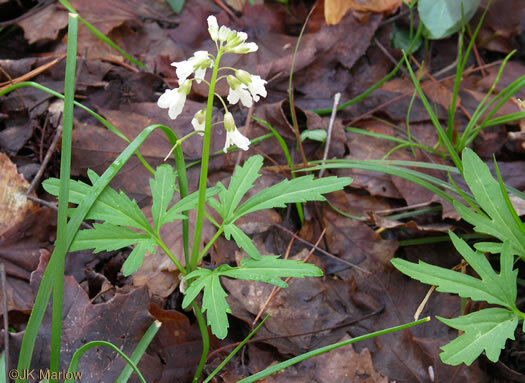 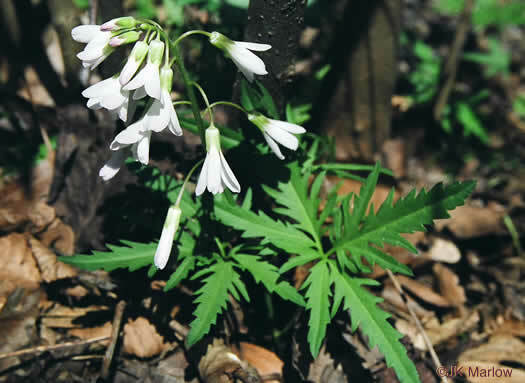 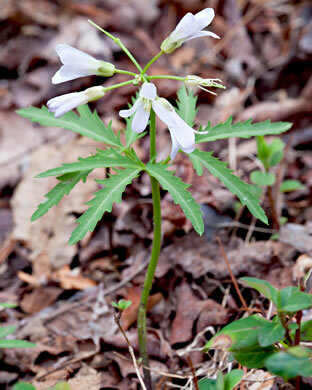 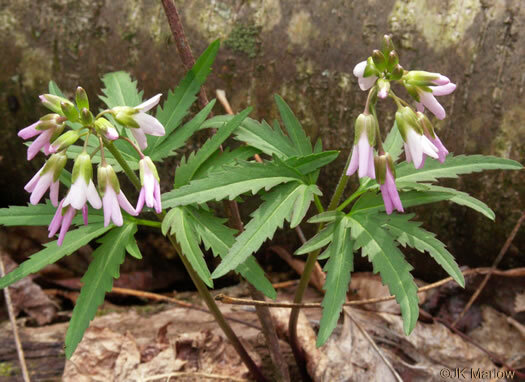 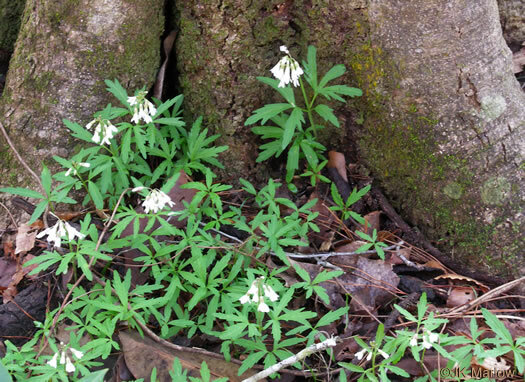 Petals are white, sometimes pinkish to pale lavender, per Wildflowers of Tennessee. 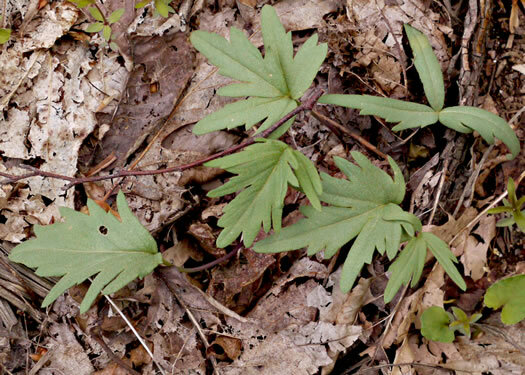 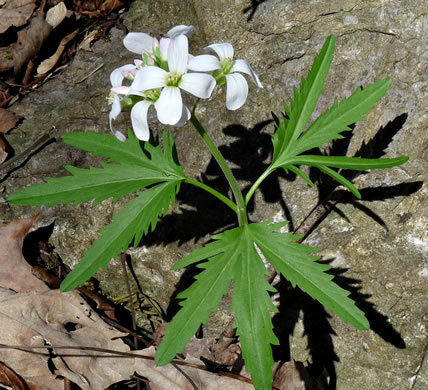 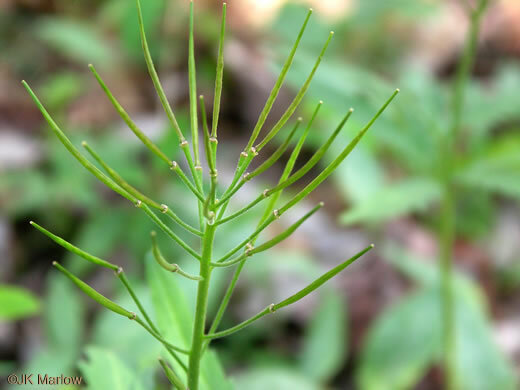 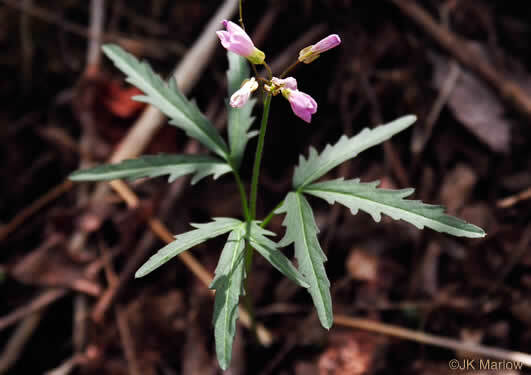 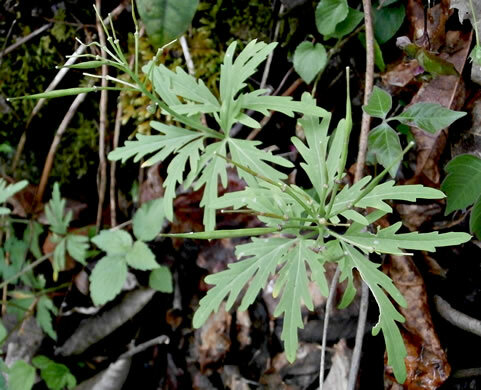 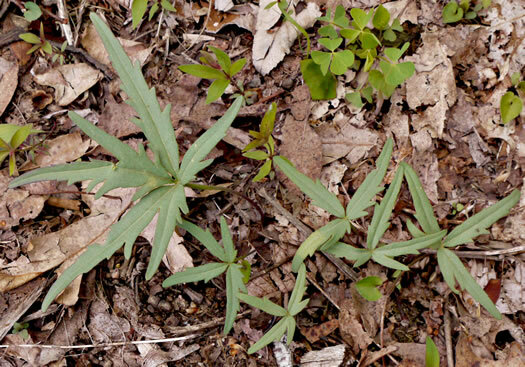 A whorl of 3 cauline leaves, 3-parted into lobed or toothed segments, per Wildflowers of the Southern Mountains.